Planning a ladies getaway or perhaps a fun-filled family weekend? 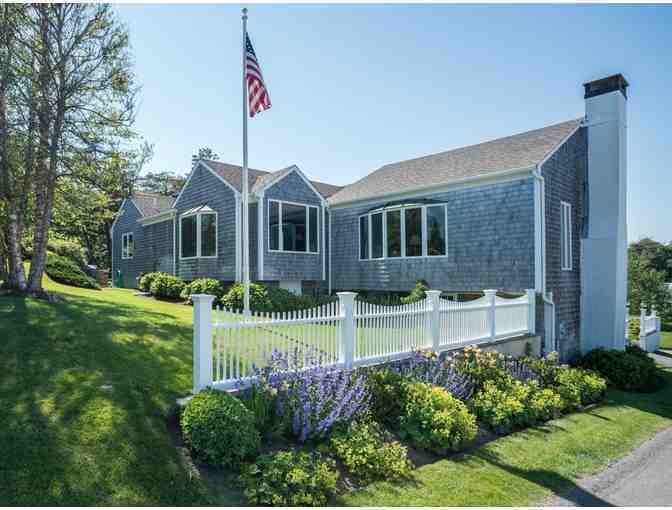 Enjoy this property in Chatham on the Cape. It sleeps up to 10 (3 bedrooms/ 3 bathrooms -Bed 1 - king. Bed 2 - queen + 2 twins. Bed 3 - 2 queens. The rental is available one weekend, comprising of Friday, Saturday, and Sunday nights in the fall (anytime late September thru mid-November). Generously donated by one of the founding Hollis PTA Auction members, Lynne Dougherty.